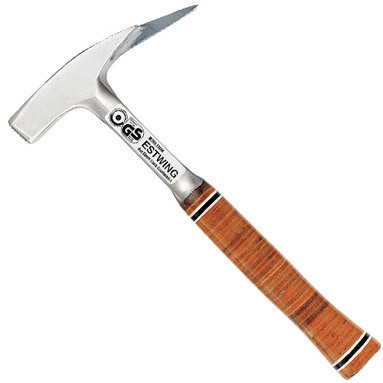 Estwing roofers hammer is the perfect hammer for the roofing trade. The German pattern hammer (latthammer) features a bradawl claw for making holes in roof tiles and for easy removal of old nails. This roofing hammer is solid forged in one piece of steel to offer maximum strength and increased durability. The hammers recessed head is magnetised to help start nails easily.